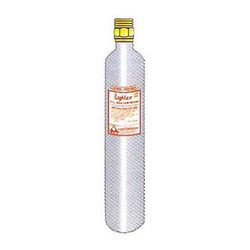 Our range of products include co2 gas cartridges. Judicial mix of men and machinery has enabled us in offering a wide gamut of CO2 Gas Cartridges. The offered seamless tubes are obtainable in diverse sizes to cater to the specified details of customers. Also, these seamless tubes are manufactured with quality assured material and cutting edge technology in compliance with market prevalent norms. Threads External:268mm x 1.27 Pitch including angle 55., 18.6mm x 1.81 Pitch including angle 55. Looking for CO2 Gas Cartridges ?